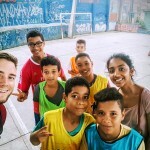 My name is Greg Reeve, 28 from London, and I have come to Brazil to volunteer as a Rugby development officer in a disadvantaged community in Sao Paolo. I have previously worked as a community coach for Harlequins, and in various schools and clubs around the world and have come to realise that Rugby can offer so much to individuals on a personal and emotional level. 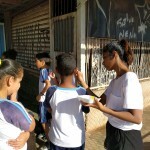 It can help teach invaluable life lessons and skills that hold great importance throughout our lives.With this in mind, considering all the social and economic challenges they are presented with, I feel that young people in Brazil could really benefit from the values associated with rugby. 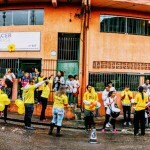 I am based in Eldorado, Diadema, in Sao Paolo. It is a very disadvantaged area and by all accounts pretty dangerous. Despite this though, I have found the people here among the friendliest I have ever encountered; Particularly the staff at Acer Brasil. Acer is the organisation who are sponsoring me being here. 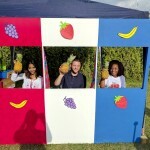 They work with the most ‘at risk’ young people in the community, and do some incredible work in the poorest areas. The staff here have really helped me settle in to making my transition as smooth as possible. 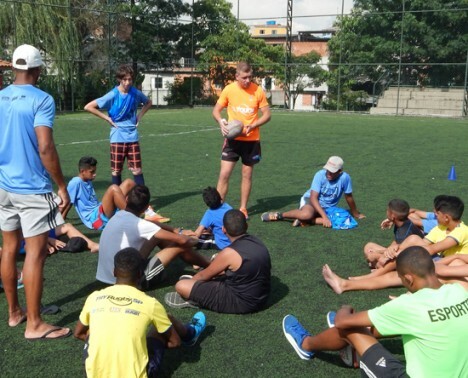 Our primary focus is to use rugby as a tool to support the social inclusion of ‘at risk’ or disadvantaged young people in Brazil and the development of valuable skills such as leadership. Furthermore the project aims to share knowledge and best practice in rugby with teachers, coaches and young volunteers creating a sustainable workforce, and ensure longevity in the sport. I am a firm believer that the future of rugby lies with the rugby clubs, both new and established. 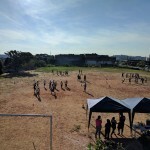 School delivery is important to introduce young people to rugby, but I feel longevity lies in getting links established between rugby clubs and young people living in the surrounding Communidades (favelas). The players here have incredible passion, and demonstrate rugby’s core values better than most clubs I have encountered in England. There is a real sense of comradeship, both on and off the pitch, and between both women’s and men’s teams. These players/coaches will be invaluable in inspiring the next generation of rugby players and imparting their understanding of the core values to those young people who will benefit from them the most. Unfortunately though, there are numerous obstacles to overcome. One major one is a lack of anywhere to actually practice rugby properly. 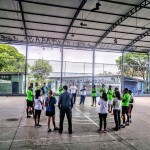 Sao Paolo in particular is incredibly densely populated, and often the only option available is a concrete court. To put this in to some perspective, Watford, where I am from in the UK has a population of about 120,000 people, in approximately 22km². I have always felt that Watford is quite densely populated. Diadema on the other hand covers an area of 30.7 km², with around 390,000 people living there. There’s just no space. The other option of travelling over 10km to train is also almost impossible, as the cost of a bus ticket there and back could be the same cost as a few day’s or a week’s worth of food. Secondly is the sheer lack of knowledge about what rugby actually is. Football is obviously the main sport here, but rugby has so much potential. In order to grow as a sport, people need to understand what it’s about, and really buy in to it. 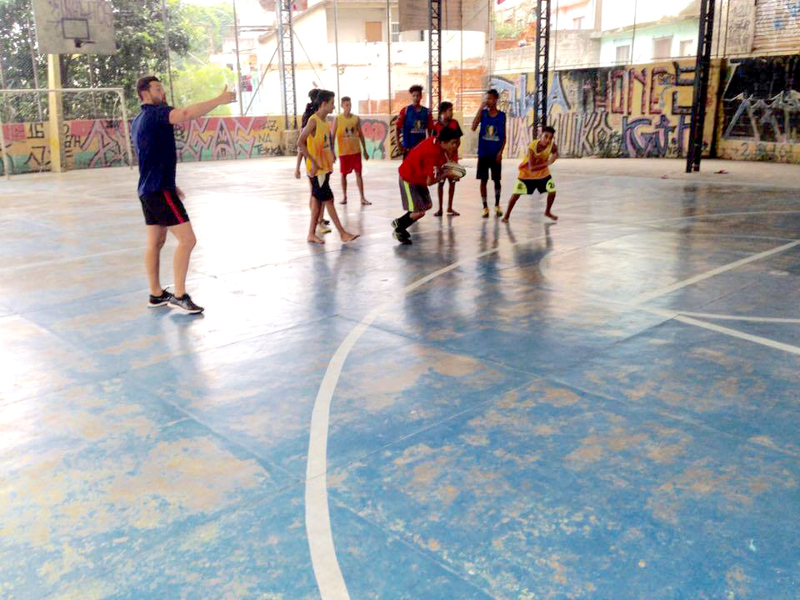 Education and training about rugby is particularly difficult due to the education system here in Brazil. Different age groups study at different times of the day, not 9-5 like in the UK. As a result, the vast majority of young adults work all day (to pay for university) and then study at night. It is thus difficult to find people with much free time to spare. I have only been here a month, and I am sure I have a lot of lessons to learn, but at the moment I feel I have a vision and a plan to work towards. I am incredibly excited about what the next 8 months will bring, and am ready to put 100% in to everything I do. It is such a different environment to live in, and gives a massive sense of excitement just looking out the window every morning. Having spent the last month or so underneath your palm trees and endless skyscrapers, I’m just beginning to understand your language (and I don’t mean Portuguese; we’ll come to that in a bit). Your constant warmth and Paulista smiles help to remind you that everyday is a gift and that life is a present to be opened every time you make up in the morning. …and yet the wide Paulista smiles persist. Our new family here at ACER Brasil have welcomed us with open arms, generosity, kindness and a lot of patience! 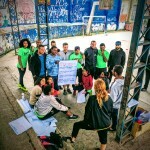 Amongst futebol, percussão and other ‘esportes’ sessions, we have been trying to get to grips with the beautiful language that is Português…Paulista style! As you may know, I am so lucky to be here I’m Brasil with my best friend in the world, ‘Google Translate!’…kidding! It is a difficult language to understand, or maybe it’s just the expressions and exaggerated accents that I’m struggling with. Well, I am from Bradford! My monotonous delivery doesn’t go down too well here. We are getting there though. We’re now past the point where every conversation consists of just ‘bom dia’ and ‘tudo bem’, thanks to our tutor Vitor, who is also improving his ‘Yorkshire’ at the same time. Similar to back home, it’s in the homes, in the workplace, on the shirts and in their blood. The only difference it seems is that their love for the beautiful game lies in the beautiful goal and not the goal itself. Face and reputation is a big thing here and skilling an opponent is cheered as much as a goal, just as being skilled feels like conceding a goal. 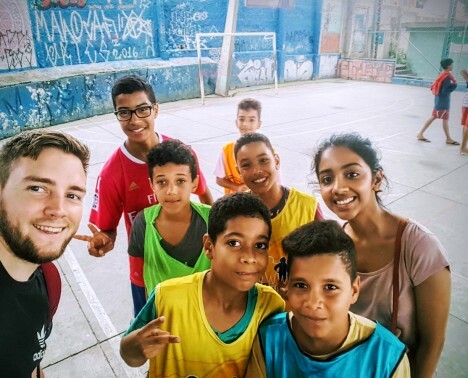 We have started delivering small games within the futebol sessions and also leading the ‘toy and games’ sessions, which is a non-competitive group of mixed-aged children. 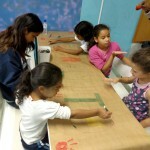 It has been difficult to begin with in terms of explaining and describing new games to the children. We rely heavily on the older kids to get our ideas across. People back home have been really generous and raises money to buy new equipment, such as balls, cones and a classic parachute! (Everyone loves a parachute right?) This has allowed us to add more variety to the sessions as there is very little equipment accessible to us. The rest of our week has been filled up by the percussion class. As a keen drummer and percussionist (I try), this class soon became my highlight of the week. 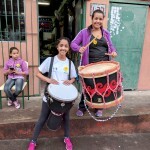 This is because, not only do I get to play many of the African drums, for example, the ‘alfaia’, the ‘djembe’, the ‘tumbadora’, as well as my old friends the congas; but I have also learnt how to plan and deliver a music class. 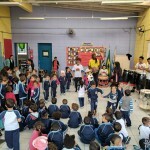 Unlike a sports session, each child plays and learns a certain beat individually while the rest of the class watches and they take turns. This is because 15 children banging their own drum at the same time makes things very difficult to teach anybody anything! 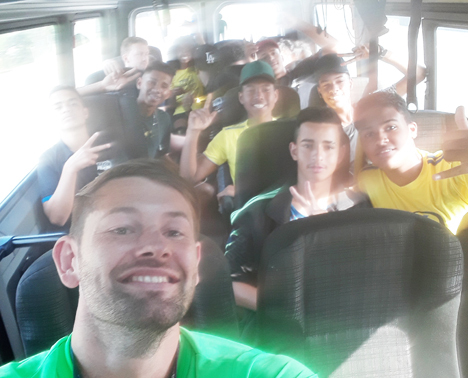 All in all, it has been a great start to our journey here in Brasil. We hope to venture out and see the many attractions São Paulo has to offer and also continue to develop our Portuguese. European Voluntary Project part of Olympic Legacy, funded by the Erasmus+ programme of the European Union.